Home Dental Nervous About Getting Dentures? Here Are 5 Reasons Not To Be! If you’re nervous about getting dentures, you shouldn’t be. 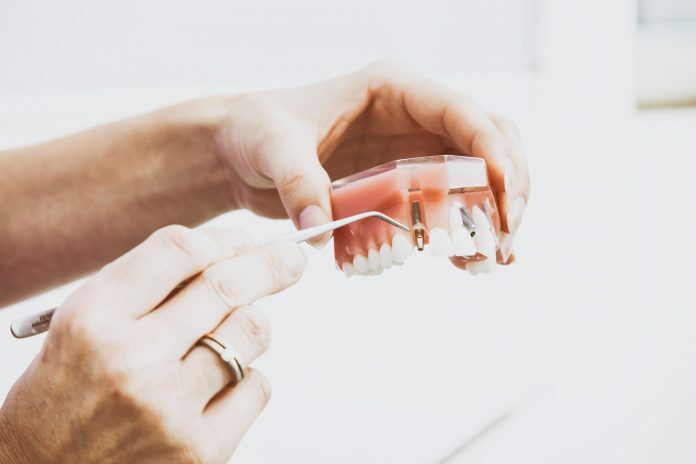 There are many more options for dentures today than there were in the past, and if you are nervous, it might due to some misconceptions you have of dentures. By talking with your dentist and doing a little research, you will soon find that the benefits of dentures far outweigh any of the downsides. In this article, I’ll highlight 5 reasons you should not be nervous about getting dentures. In fact, there are many advanced procedures and molds used today to ensure that dentures are comfortable and optimally fit. Once they are in place, your dentures should feel comfortable when you are eating, speaking, and much more. keeping them clean and sanitary. Fortunately, times have changed. The majority of denture wearers simply need to apply a cleansing solution to their dentures overnight to ensure a sparkling smile and sanitized dentures. This is even easier than the oral care regimens used by people that have natural teeth. much easier than you think! Most dentures today are almost completely indistinguishable from real teeth, giving you the confidence you need to wear them. Many people are hesitant to get dentures because they think that everyone will know they have them. Dentures are not noticeable and most people will never be able to tell you’re wearing them, especially if you have a partial denture. Dentures are made to mimic the look of your teeth, which means even those that know you well won’t be able to tell. In the past, the teeth on dentures haven’t always had a “real” quality to them. Fortunately, with the technology available today, the only difference people will see is the improvement of your smile. Dentures are actually one of the most affordable options for those that have issues with many of their teeth. The alternatives are often implants, crowns, or root canals. Not only are these procedures extremely expensive, but they’re also often much more uncomfortable than a common extraction. With dentures, you’ll have comfort and a complete absence of tooth pain. Also, it is better to pay for dentures than extensive and repetitive dental work that will cost you a pretty penny. Permanent dentures or surgical dentures can be placed if you would prefer to have a more permanent solution. Permanent dentures aren’t exactly permanent, but they snap onto a snap that is installed in the mouth. This is a completely painless process when taking the dentures off and putting them on. Also, it locks the dentures in place so that they are essentially fixed into your mouth. This option ensures that your teeth are always comfortable and that they are virtually indistinguishable from implants or natural teeth. Discussing dentures with a dental professional is something I highly recommend. It’s a fairly simple process, there are many options available, and only a dentist will be able to determine your personal needs. Are you nervous about getting dentures? Feel free to comment about your hesitations or fears below. Author bio: Dr. Barney received his Doctor of Dental Medicine (DMD) at Case Western Reserve University in Cleveland, OH in 2005. Dr. Barney has been practicing dentistry since 2005 and in 2008 he took over “Taylor-Made Smiles” from Dr. James Taylor, DDS. Since then, Dr. Barney has strived to continue improving technology, materials, and techniques so that we can offer the best care possible to his patients. Today, Dr. Barney and his business partner run Kennewick Dental in Kennewick, WA.